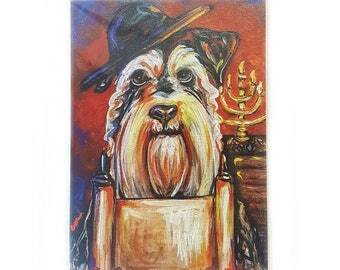 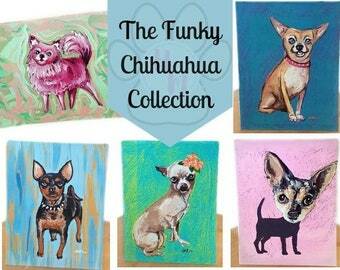 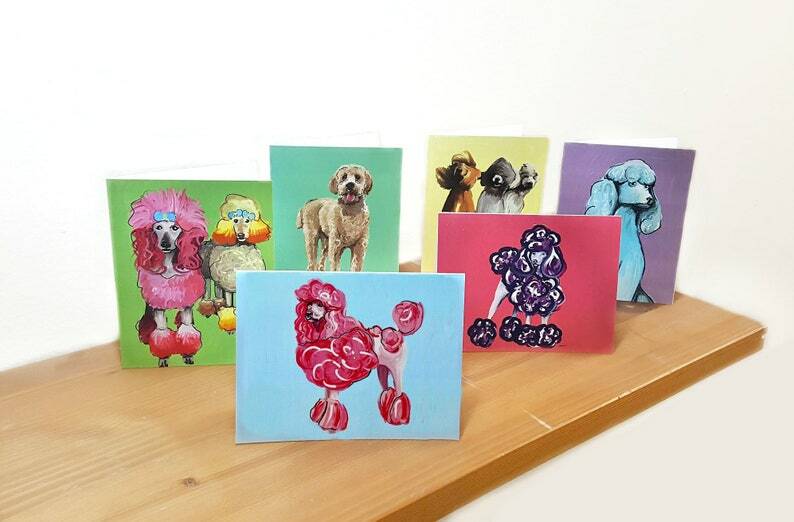 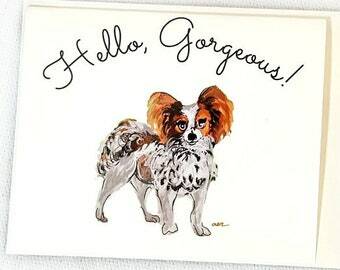 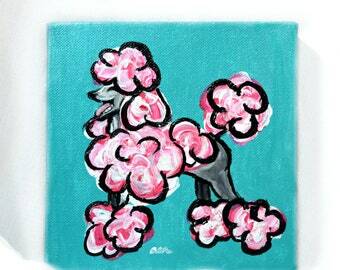 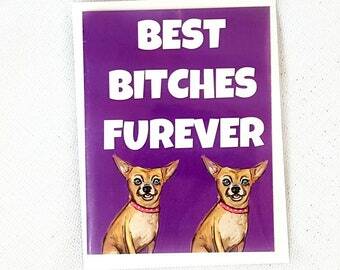 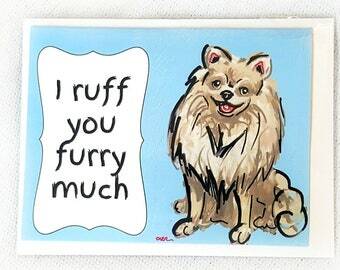 Give the dog lovers in your life a cute & colorful poodle card! 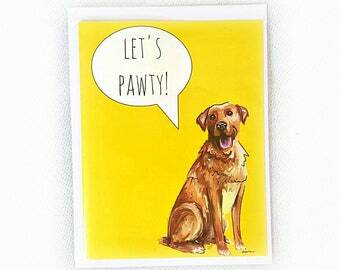 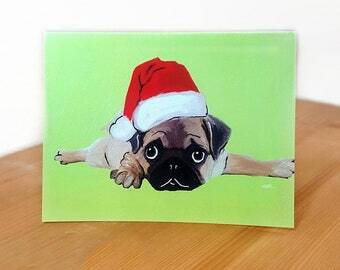 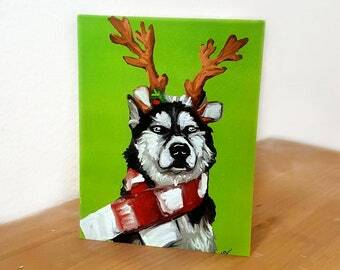 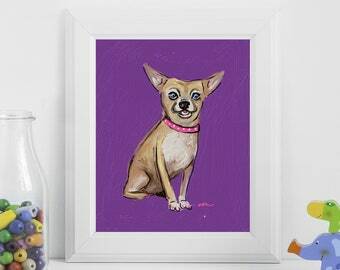 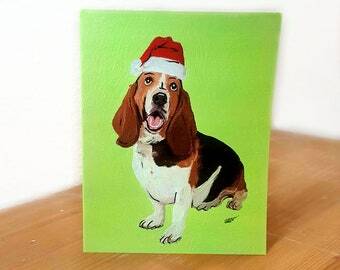 These adorable doggos make the perfect Thank You, Thinking of You, or Birthday cards. 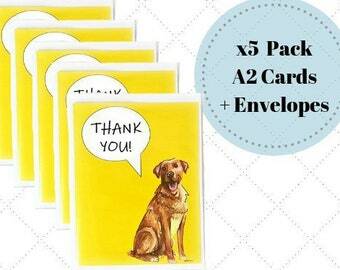 They would be an especially nice form of communication for dog-based business reaching out to clients, or vice versa! 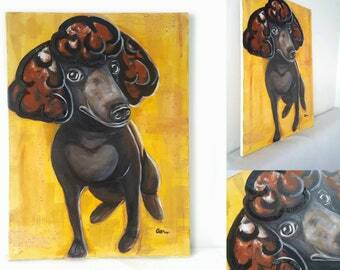 These poodle cards are laser printed onto 100 lb cover stock and sealed with an acrylic spray topcoat. 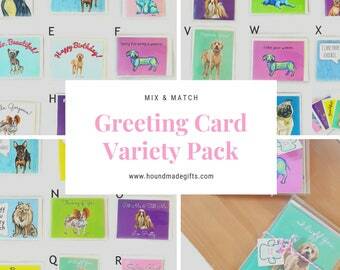 This listing includes six (6) A2 sized cards, blank inside to write your own special message, and six (6) plain white envelopes. 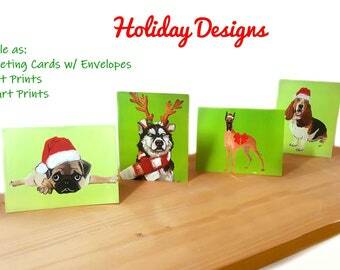 You will receive six (6) different designs (pictured), with one (1) copy of each.